It’s fall time! Part one. I’ve decided to split the fall entries for cooking and bar labs into 2 entries a piece. There is a lot to cover! Let’s get started! I love this time of year. My birthday is in two months. Heavier meals. No excuses to gather at families homes. Sweaters. Hot cocoa. I could go on and on! One of my favorite dishes I make more now then any other time I’m going to share on here. My Pumpkin turkey chili with banana cornbread. Now, before you curse me out or say eww, give it a chance. I made this chili six years ago to a whole household saying ‘that’s gross’ or ‘what kind of sh** is that?!’. By the end of the dinner, it became a staple in the house. I pass my recipe on to you. Its really good and only 250 calories per serving. You can make this in your crock pot or on the stove. Only difference is on the stove, cook your meat, peppers first. Then cook down pumpkin, juice, water, in a pot. Add the meat mix, tomatoes, beans and seasonings. Cook for 30 minutes. Mix in on package of cheese. Let simmer for another 15 minutes. Serve with rice, sour cream, or chopped onions. 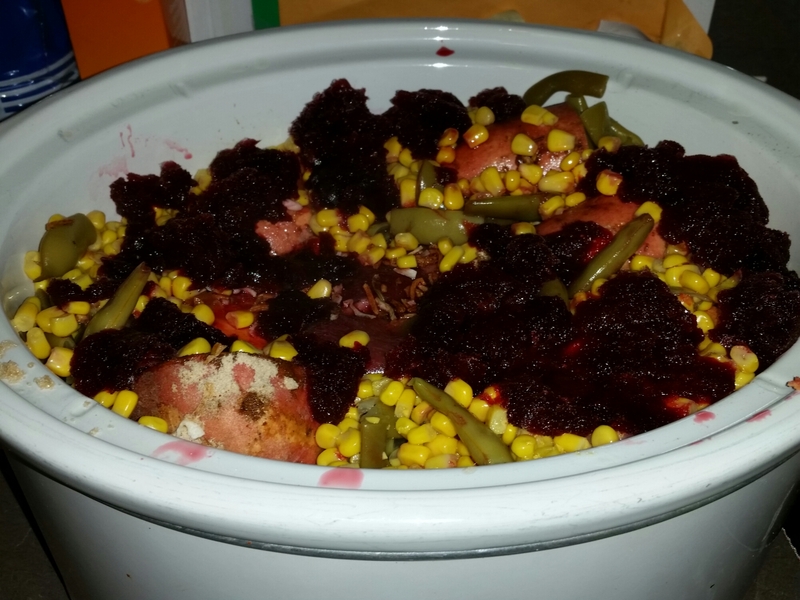 I throw everything in the crock pot in the morning. By the time the kids are home its done. On a low setting. Right before they get home I pour a layer of cheese on top of the Chili. So when dinner is done you have a gooey layer of cheese on top. Yummy! Banana cornbread is really easy. I use jiffy mix. Two boxes of regular cornbread and two of banana muffin mix. I add 2 tsp of banana flavoring and 1 cup of sugar. Prepare as the box as directed and serve with butter. Pictured above is my new creation. I call it sweet autumn roast. We have a beef roast cooking in apple cranberry juice and Marsala wine. I added sweet potatoes, corn, Italian green beans, salt, pepper, and brown sugar. Bought the Hawaiian rolls to serve with it. My house smells awesome. This is my Harvest Smoothie. Who said you can’t do Smoothies when it gets cooler? Kiss my grits you can’t. The kids loved it. 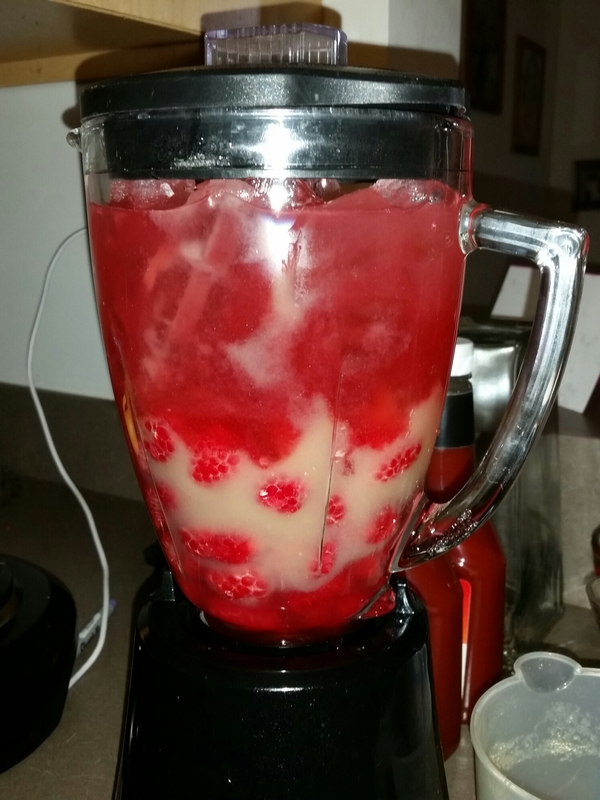 Raspberries, cranberry apple juice, pear nectar, and ice. Blend until smooth. 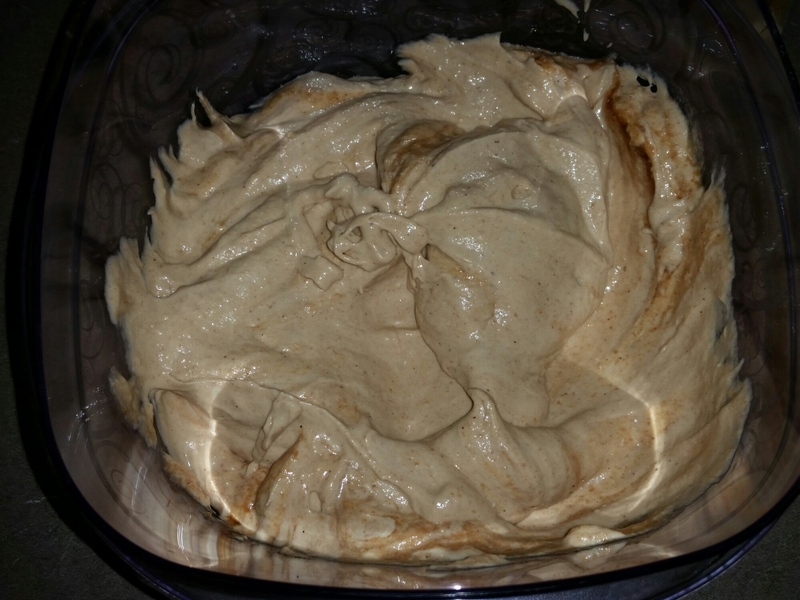 Apple cinnamon cream cheese spread. Cream cheese, apple butter, cinnamon sugar. Blend until smooth. You can use this on bagels or serve with fruit on a platter for guest. That’s part one! Part two is the desserts which I’ll post tomorrow. Enjoy my peeps!